Label We can print the label according to your specification. Q2. How long is the delivery time9 30-45days after receive the deposit. They will inspect the items and the accessories after the order starts. We have 6 sales representatives who always have the 1st response to any of your inquiries. 4.We have a strict quality control system to make sure the quality of our products are superior. We are a professional manufactory of glass crafts especially mosaic glass crafts. 2. Are your samples free or need cost9 Actually it depends on the products. But for some high value samples it need sample cost and freight collect. Please confirm that all sample cost and freight cost can be refunded after order placed. we best service 24 hour online Color: any Color is ok or per you request color do it, also pantone color for you choose P roduction time: sample time:7days , stock goods within 2days shipping mass goods time: 10-15days. 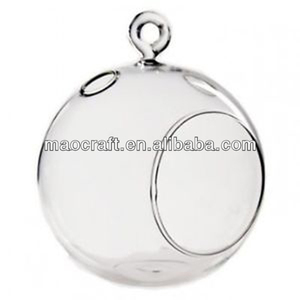 Products show: Our Advantage: we are factory: our factory address is: NO. 1919-6,tingzhu Rd,Tingling Town,Jinshan Area,shanghai,china 1) our Laser engraving worker had more than 16 years Experience 2) our spray colored worker more than 15 years Experience 3)Our Hand painted worker head more than 20 years experience, when you visiter our factory you will be see a good woman worker about 50 years old. 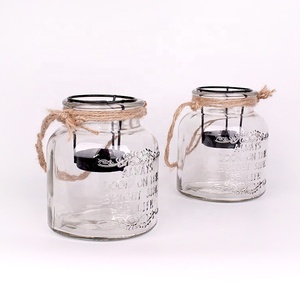 10cm Hanging glass candle holder package: 1. Inside package for each one: a) Foam box:----This package is suitable to LCL and Express. 4. Keep the products same as samples or our decriptions 5. Accept clients' requirement of modification on our present procusts. 7.Our service on line (Mobile) always open in 24 hours and solve clients questions 8.Good after-sale service offered, please get back if you got question. 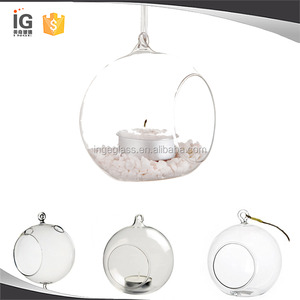 Beijing Sheng Jing International Trading Co., Ltd.
Alibaba.com offers 969 hanging glass tealight holder products. About 70% of these are candle holders, 7% are crystal crafts, and 5% are christmas decoration supplies. 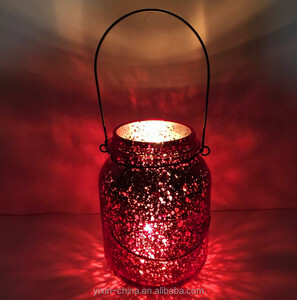 A wide variety of hanging glass tealight holder options are available to you, such as tea light holder, candlestick holder, and votive holder. 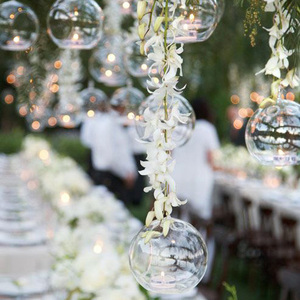 You can also choose from weddings, holidays, and home decoration. 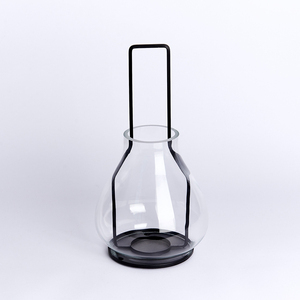 As well as from glass, crystal, and metal. 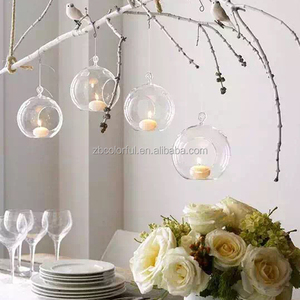 And whether hanging glass tealight holder is yes, or no. 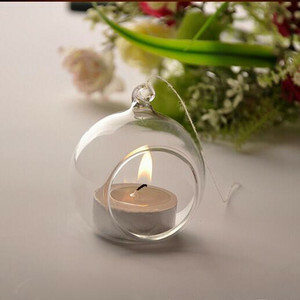 There are 969 hanging glass tealight holder suppliers, mainly located in Asia. 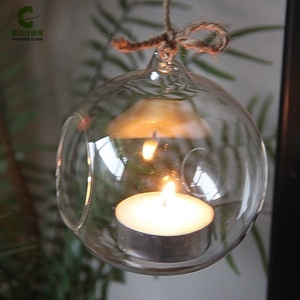 The top supplying countries are China (Mainland), India, and Turkey, which supply 76%, 22%, and 1% of hanging glass tealight holder respectively. 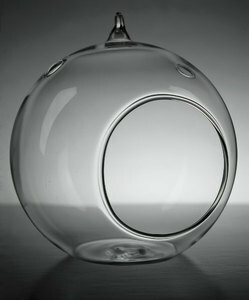 Hanging glass tealight holder products are most popular in North America, Western Europe, and South America. You can ensure product safety by selecting from certified suppliers, including 203 with Other, 76 with ISO9001, and 52 with BSCI certification.